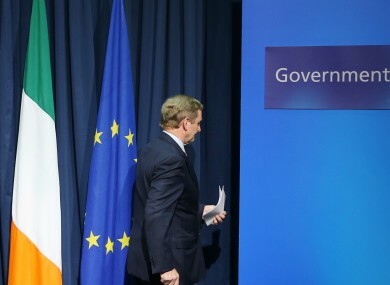 Poll: Do you think the EU is good for Ireland? On the union’s sixtieth anniversary, does membership of it remain a positive thing for Ireland? IT IS SIXTY years since the landmark Treaty of Rome, which brought about the creation of the European Economic Community, and therefore its successor, the European Union. This morning, MEPs Nessa Childers and Luke ‘Ming’ Flanagan have discussed the merits of the union on its 60th anniversary, with Flanagan suggesting the Nice and Lisbon treaties were the stimulus for the issues the EU currently faces (Brexit being the standout), and Childers arguing that the benefits of the European project are easily forgotten with undue focus placed on its shortcomings. But do you think the EU remains a force for good from Ireland’s point-of-view? We’re asking: Do you think membership of the EU is good for Ireland? Email “Poll: Do you think the EU is good for Ireland?”. Feedback on “Poll: Do you think the EU is good for Ireland?”.